Tigo Energy, which develops solar electronics to boost power generation from solar cells, said Monday it’s raised a D round of $18 million. The company, which has shipped “hundreds of thousands” of devices, expects to ship more than one million of them in 2012, Tigo CEO Sam Arditi, told us. The new funding, which included the $5 million we reportedlast month, brings the company’s total venture capital funding to just over $50 million. Bessemer Venture Partners led the round. The new fund will be crucial for managing the company’s new ties with the solar panel makers who agreed recently to build Tigo’s power electronics into their products. The Silicon Valley company, founded in 2007, will still market its products to distributors and installers, but selling to solar panel makers will broaden Tigo’s reach in the market more quickly. Solar panel makers who have agreed to assemble Tigo’s electronics into their products include Trina Solar, Hanwha SolarOne, Upsolar and Eclipsall. “We believe, in the long term, the big play is being integrated. It’s like everything else in life, like GPS becoming part of the car,” Arditi said. Tigo develops what it’s called power optimizers: electronic devices that go on the back of each solar panel to track and tune its power output to more efficiently harvest the electricity generated by the solar cells. They also help to identify faulty solar panels more quickly. Power optimizers are fairly new to the market, and Tigo is one of many companies that are trying to popularize their use. In a solar array without the power optimizers, an inverter tracks and adjusts the power output while converting direct current to alternating current for feeding the grid. The central inverter isn’t able to track and fine-tune the current and voltage of each solar panel as closely. As a result, the worse performing panels can drag down the power production of other panels. Using power optimizers works around this issue. The company says its power optimizers could squeeze up to 20 percent more power from an array. But the more typical increase is more likely to be half of that or less. Delivering more power is an attractive proposition, certainly, but that also has to come with reasonable prices. New technology tends to be more expensive, but the idea is that if it finds enough buyers and rolls off factories in large volumes, then its price will come down. From an installer’s point of view, the issue is whether the tradeoff – adding costs to get more power – is worth the money when designing each system. The rise of power optimizers has tracked closely with the growing use of microinverters. Microinverters perform the functions of both power optimizers and inverters, and each of them is paired with one solar panel. Naturally, an ongoing debate is over whether distributing the power conversion function to each solar panel is a good idea. Microinverter proponents say their devices eliminate the bottleneck that a central inverter can create if it breaks down. Arditi argued that there is no need to essentially “replicate conversion X times” and that adds more cost to a project than pairing power optimizers with central inverters. One thing all these power optimizer and microinverters agree on is that they have been attracting a lot of venture capital lately. 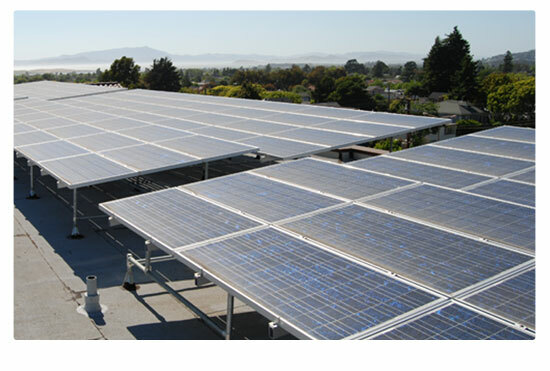 SolarEdge, which develops optimizers and also sells its own inverters, raised $37 million earlier this year. SolarBridge Technologies, an inverter maker, announced a $19 million round in June. SolarBridge’s rival, Enphase Energy, is waiting for the ripe moment to do an initial public offering. It needs capital in the mean time and noted in a recent regulatory filing that it had raised $21.86 million from a fundraising goal of $81.86 million. Some solar panel makers, such as Upsolar and Hanwha SolarOne, aren’t being choosy and have decided to offer products with either integrated power optimizers or microinverters. Tigo has been shipping power optimizers not just within the United States but also to Canada, Europe, Australia and Japan.